BMW X5 Review 2019 | What Car? 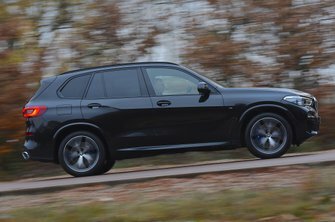 If you’ve considered buying a luxury SUV at any time since the late 1990s, the chances are the BMW X5 has been on your radar. It kicked off the craze for sportier SUVs – cars that, compared with many off-roaders of the time, sacrificed a bit of ruggedness and rock-climbing ability in favour of better handling, improved comfort and a more luxurious interior. Several challengers have also staked a claim to this territory since the X5 landed all those years ago. First, the Volvo XC90 brought seven seats as standard; then the Range Rover Sport reintroduced proper off-road ability to the mix. Later, the Audi Q7 would impress with its blend of seven-seat versatility, remarkable comfort and a truly classy interior. Under pressure from such talented rivals, this fourth-generation version of the X5 has its work cut out if it’s to rise to the top of the class again. 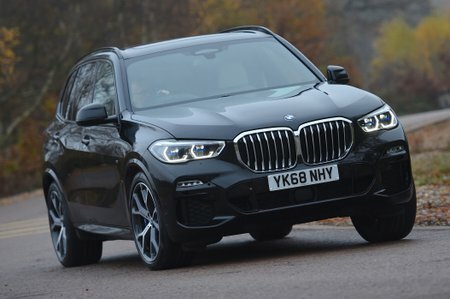 There’s little doubt that the X5 will call on its traditional virtues as key to its success – namely a suitably upmarket interior and the same tight handling that made it such a favourite among buyers before, not to mention air suspension as standard, which promises a smooth and comfortable ride. Is that enough to put it at the top of anybody’s luxury SUV shortlist? Read on to find out. And when you’re ready to buy, head over to our New Car Buying section, where you’ll find the best deals on whichever model you settle on.